Savitribai Phule Pune University has released the timetable of Bachelor of Education 2008 and 2014 pattern course today. 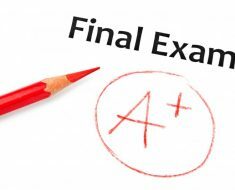 The exam will start from 28’th April 2015 and end on 6’th May 2015. At the end, its mentioned that The Last Examination of the B.Ed. (General) (2008 Pattern)will be held in April – 2017 which I think, very important thing to notice. Clear and Score well in this exam. Just give your best. Best of luck! Do well! !